The First Truly 21st Century, Sustainably Built, Solar Powered School Nestled in the Pembrokeshire Coast National Park. What would it take to make it happen in St Davids? Here’s a brilliant video by Liam Tate that really captures these last few months and is a great inspiration for coming together again in July to finish the job properly! Diolch, Liam. the consultation is over… what happens now? The public consultation is over, our community plan is submitted and all your letters and emails of support will form part of the Council’s consultation report released in July. So what happens now? 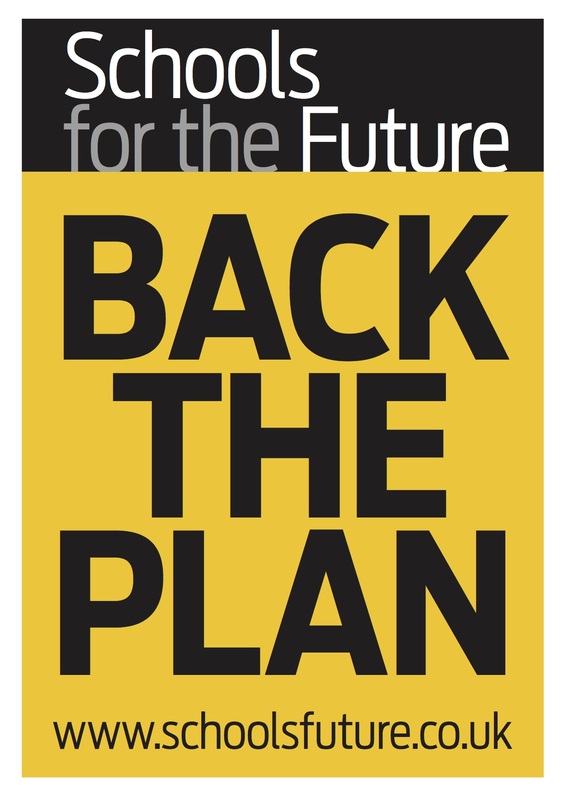 whether you are responding by email or by post, it’s now even easier to back the plan. 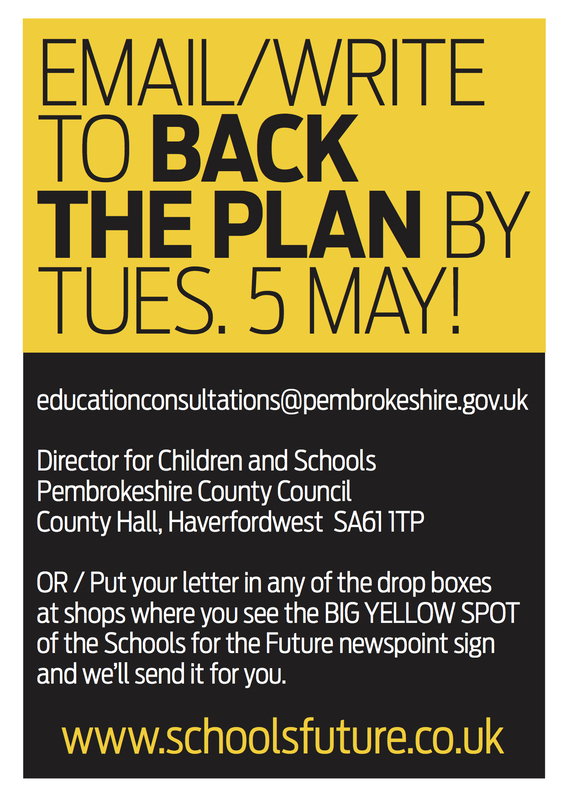 So that they can hear from the largest number of people possible Pembrokeshire County Council has agreed to accept responses in the form of a pre-written letter that we have prepared with space for you to add your own comments. The deadline is May 5th. Here’s the letter in four handy formats! Your email can be as short or as long as you want. 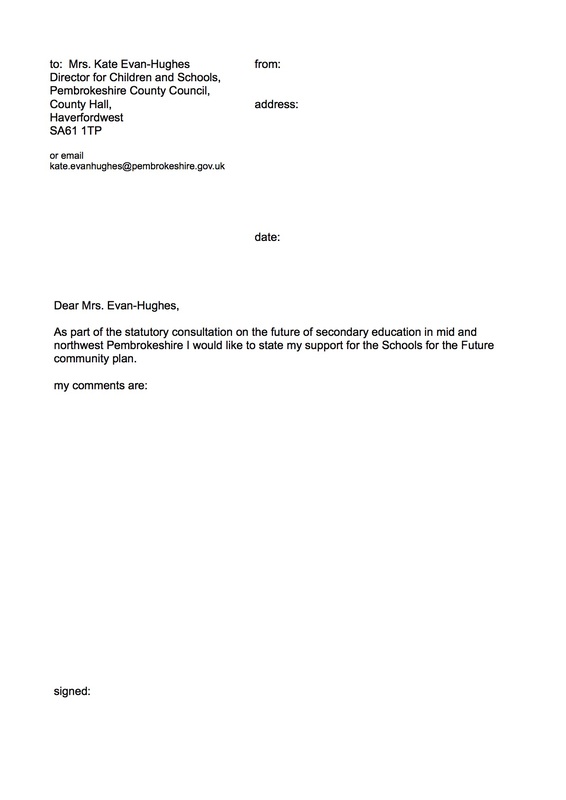 Give it the title: Support for the Schools for the Future Plan. Include your name and address, and tell the Council your view. The steering group for Schools for the Future is now working hard on a draft plan to put to the community. All through schools, flexible 6th forms, distance learning, community involvment and VA status are the elements we are working with. So what’s your view?